Park and grab to remember the American expeditionary force in France in World War I. The American Expeditionary Forces (AEF) were the United States Armed Forces sent to Europe in World War I. During the United States campaigns in World War I the AEF fought in France alongside French and British allied forces in the last year of the war, against Imperial German forces. The AEF helped the French Army on the Western Front during the Aisne Offensive in June 1918, and fought its major actions in the Saint-Mihiel and Meuse-Argonne Offensivesin late 1918. 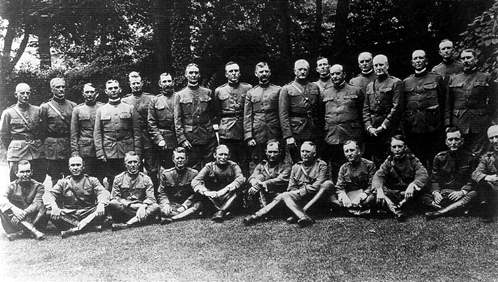 On this day (4 Sept), The American expeditionary force in France suffered its first fatalities in World War I.